Francesca Seegy, pharmacist and mother of two young boys, discovered the First-Step Method in 2009 and successfully used it with her own children. Her experiences with this method were so convincing that she successfully completed the professional course as a First-Stepinstructor. 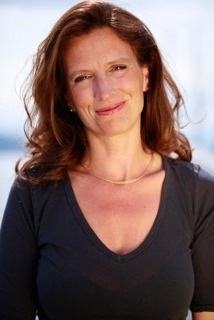 Francesca now offers workshops, private sessions and birth preparation classes in Kilchberg (ZH).Her main focus is on the preventive aspects in early childhood development. Through early detection and deliberate targeting, problems in early development can be corrected from the beginning. The workshops are available in German, English and Italian. Workshops are held in 4 languages 4 times a week, please find actual schedule here.